SoonTM intensifies. Will post after work today what this thing is like and full pictures & what I think of the switches. 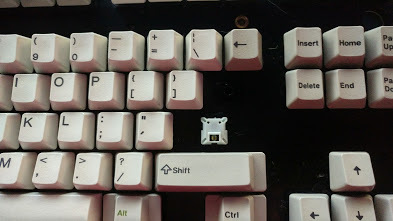 Woot, the Space invader switch keyboard is here! It’s definitely interesting to type on. I have no idea how to really explain this as it’s so different than a lot of the other switches I’ve tried but here goes. The switch at once feels incredibly smooth (as it’s based on a really good linear design) but also has a tactile, clicky actuation on every up and down stroke due to the design of the switch with the follower arm style clicking mechanism. 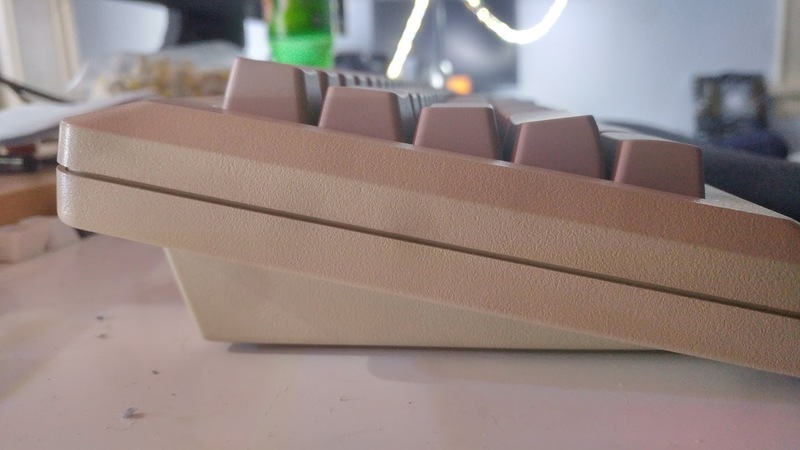 Overall the switch is a fairly light (somewhere between MX blacks and blues) switch, with almost as nice of a tactile click as a Model F with a semi-similar noise profile (albeit quieter.) I’m very impressed by these switches. As a side note the bigass enter takes some getting used to lol, mainly because of the fact it means the backspace key is TINY. 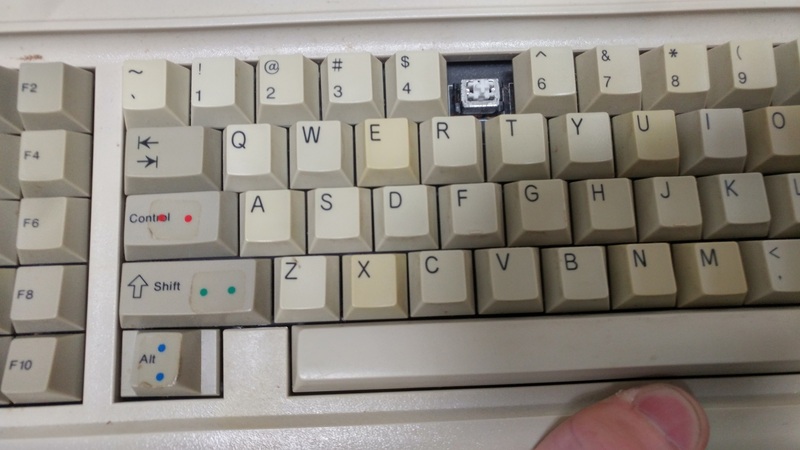 Only minor issue with this keyboard is the enter key sometimes is sticky, which is probably due to age or something like that. I’ll probably build a new case for this as well because the current one is in shambles (also due to age). 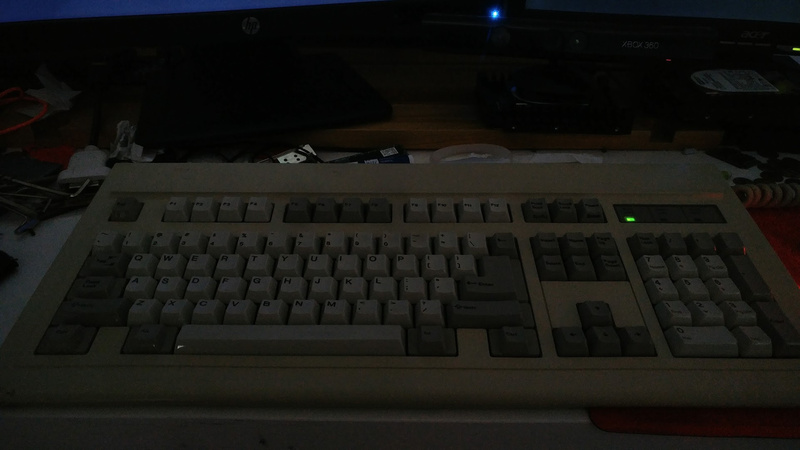 I probably will do a video review at some point, mainly for the typing sound but also to give more thoughts on it. Also for those interested i made a short video (12 seconds) that shows how the switch works. The design is a modified linear switch. The follower arm on the outside of the switch is what makes the click on both the up and down strokes, and the switch itself is a linear design that holds the two “hands” apart when resting. and as you push down on the switch, the “hands” get closer until they touch and actuate. Very interesting design. r/MechanicalKeyboards - A keyboard for.. giants? 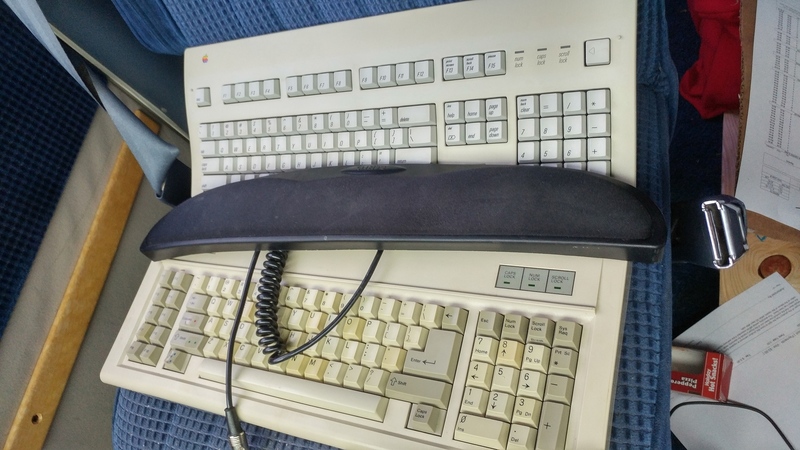 got an Apple Extended II and also some random Unitek keyboard that both have mitsumi switches, the AEK II has the full size ones and teh Unitek has “mini” ones with MX mounts. 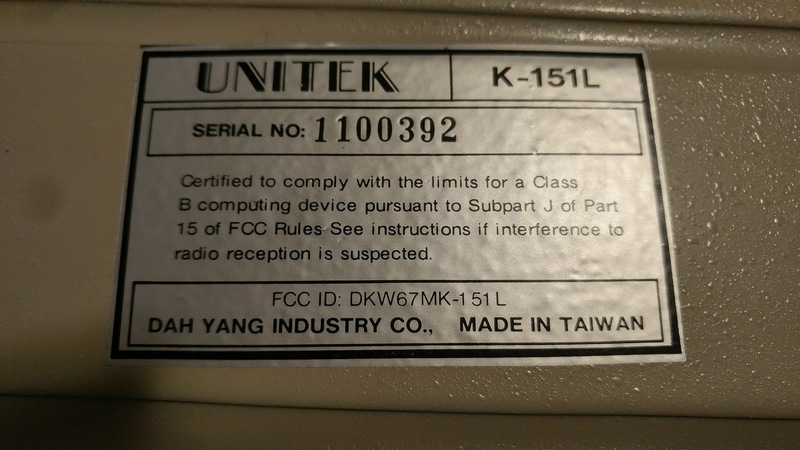 The Mini’s on the Unitek are decent but not anything too nice. The strange part with the minis is that the tactile but is at the very beginning of the travel of the switch (instead of at the middle) so it’s a bit odd. 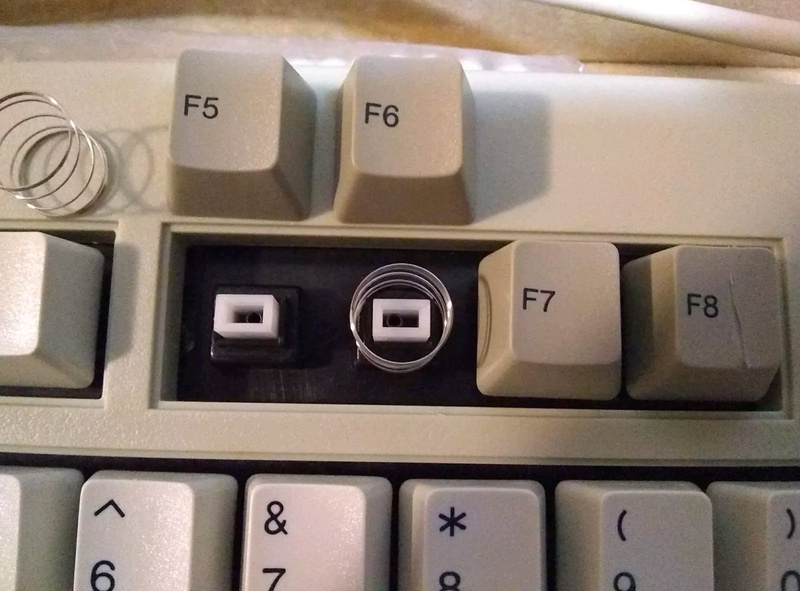 Also need to fix the D and Caps Lock key on it but thats a separate thing entirely. This is a strange keyboard. Cool though. 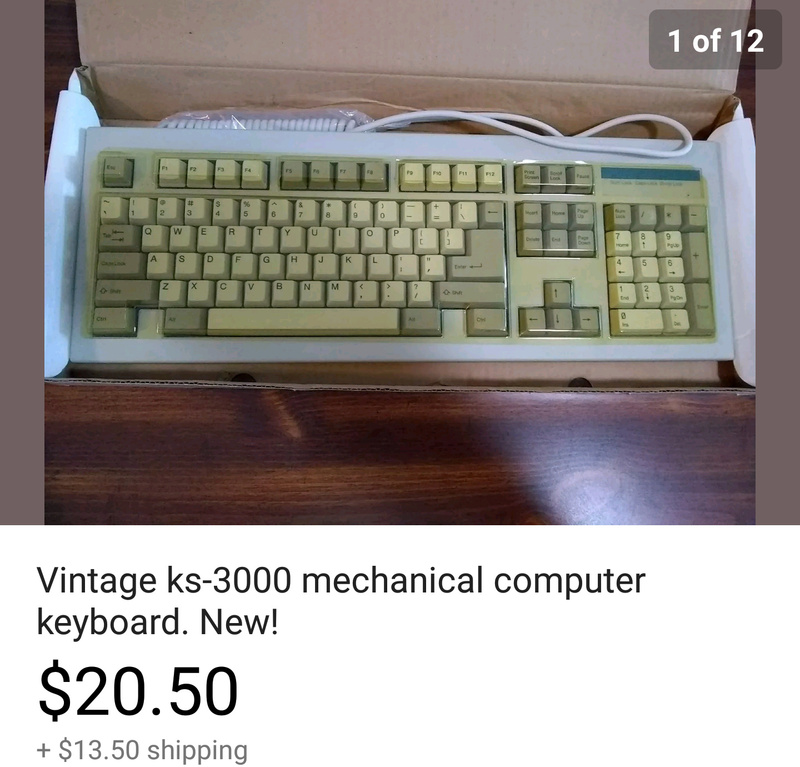 Has a random 2 yellow switches, but the rest white. And has a MASSIVE 10U space bar lol. Oh hey I havent posted in a bit. 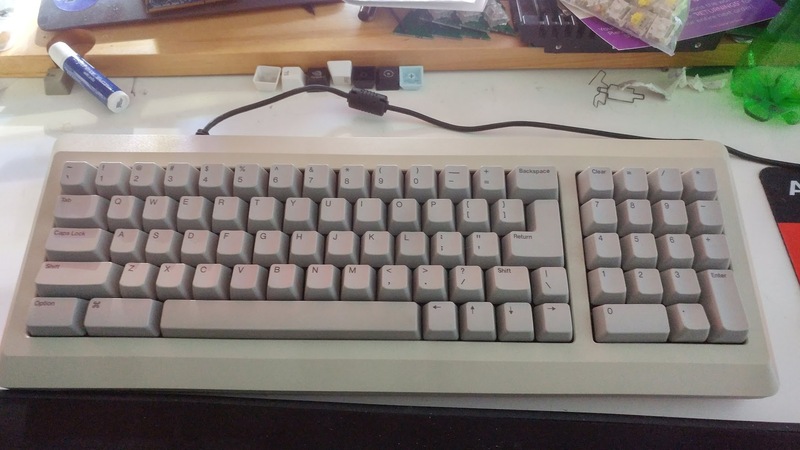 Got the adapter for the AEK II and its quite nice to use. 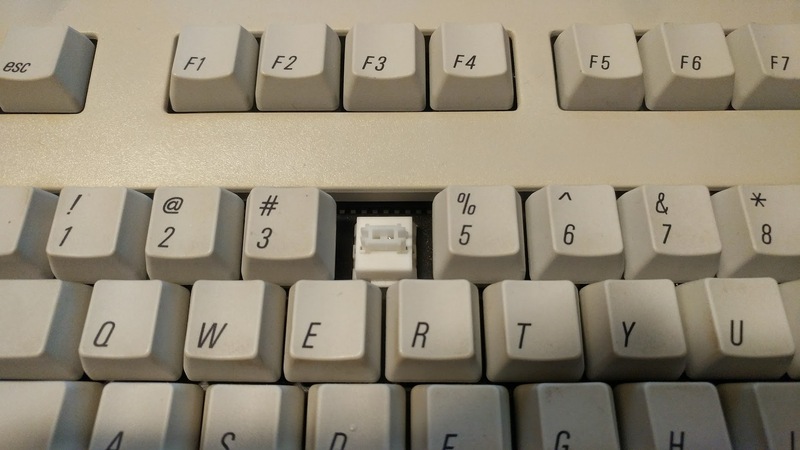 Has 6 key rollover which is fine, good enough for gaming and way more than enough for typing so works well. Takes some getting used to but is quite nice. 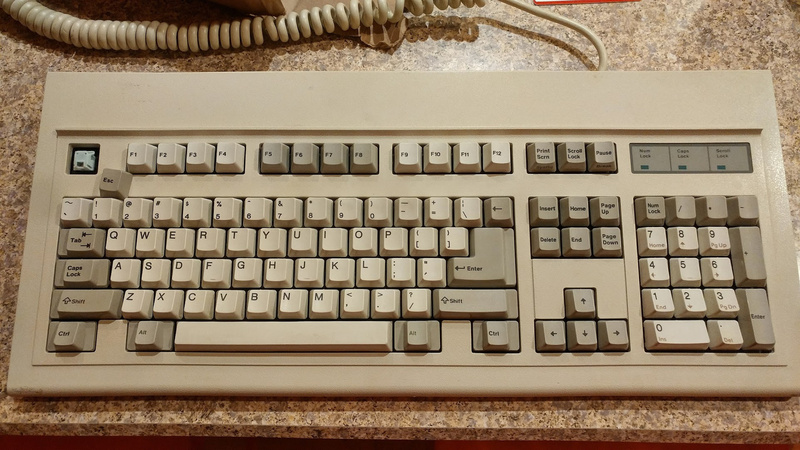 Found a deal on a fairly rare progressive rate switch keyboard, on a bid tho so will see if I end up getting it. Will update in a few days on that. How do Outemu blues compare to Kailh blues? They are pretty much the same other than Outemu and kailhs sometimes having slightly different weighting. And the sound is a bit different but the feel and everything is pretty much the same. 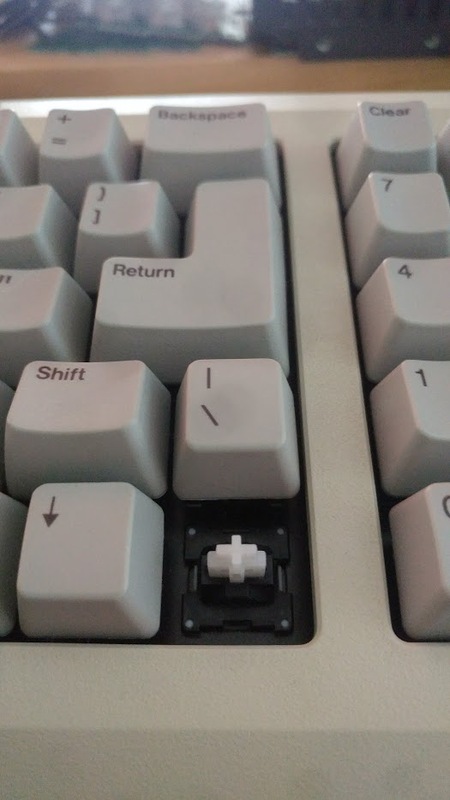 Nice, I’ve got a Kailh board at home but need a new board at work. The Outemu one is half the price (~$45) so it’s looking like the one I’ll go with for work. Yep, Outemu ones are very well priced. Amd if you dont like them can always get replacements and solder them on. 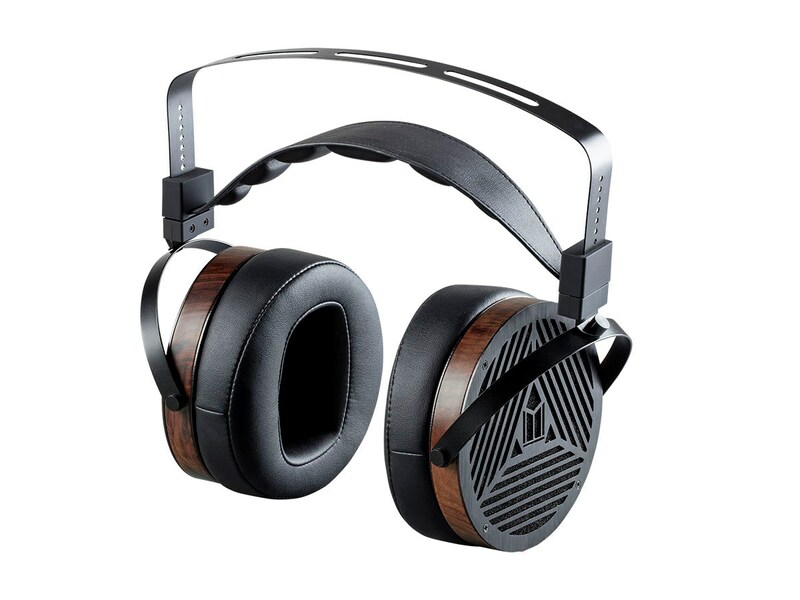 Are those Monoprice Monolith M1060 headphones? I have no idea but judging as they are all tech heads I would guess yes? Will be adding a few things here as they arrive. Also le bump because reasons.